for the health, education, and financial stability of all central Iowans. 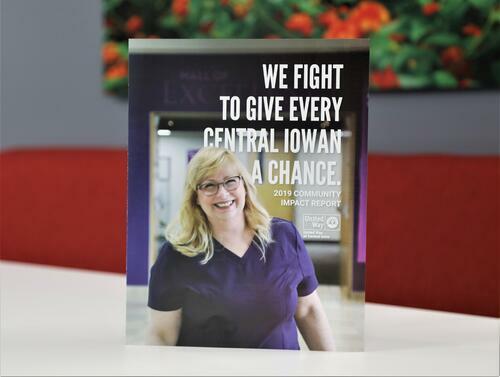 This past year, you gave thousands of central Iowans the chance they needed to better their lives. You have seized the opportunity to lift others up and improve our entire community while living a life of compassion and meaning. Together, we are working to help all central Iowans live a quality life. Come celebrate our collective achievements! You know United Way... but do you know what we do? Our mission, our board, our team, finances & documentation, and more. You can join the fight and make our community better for all central Iowans. United Way of Central Iowa leads the fight for the health, education, and financial stability of all central Iowans. We do this by bringing together central Iowa businesses, donors, volunteers, nonprofits, community leaders, subject matter experts, and those in need. United we lock arms to form sustainable solutions and tackle our community's toughest challenges. Together we LIVE UNITED. 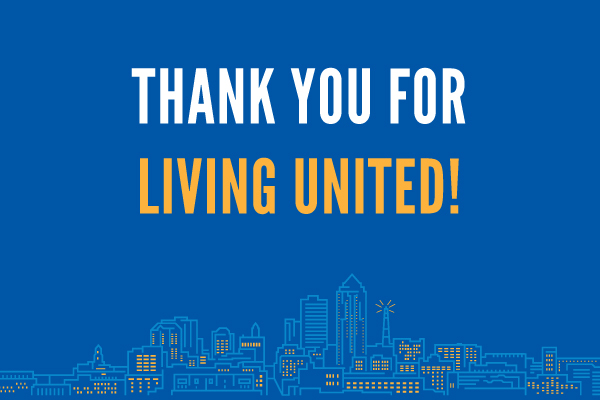 Each year United Way leads the fight for the health, education, and financial stability of all central Iowans by working toward the Community Goals for 2020. Click below to view a web version of this year's report, published April 23, 2018, or to download a PDF of the print version of the report. Leadership donors focused on middle school initiatives and helping students make the transition to high school. Central Iowa women who give at leadership levels and focus on school readiness and early grade initiatives. The Members of the Tocqueville Society give a minimum of $10,000 each year, and lead many initiatives in our community.